This procedure covers epoxy mixing and handling. The epoxy covered by this procedure has multiple uses including solder mask repair, base board repair, circuitry over-coating and delamination repair. 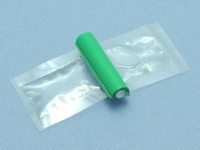 For prepackaged epoxy, remove divider clip and mix resin and hardener inside package. Apply epoxy as needed. 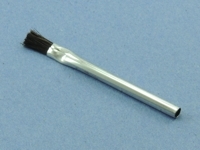 Foam swabs may be used to add texture for solder mask repair. This procedure covers epoxy mixing and handling. 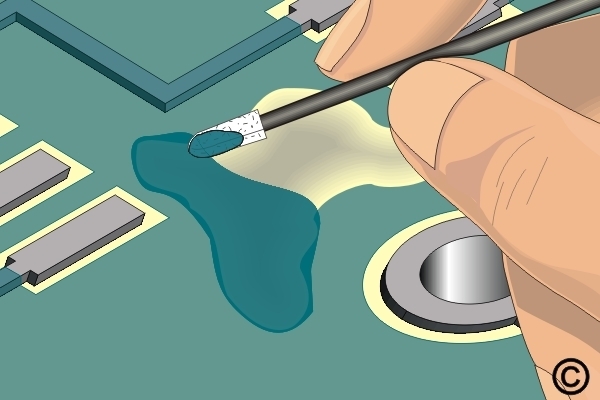 The epoxy covered by this procedure has multiple uses including solder mask repair, base board repair, circuitry over-coating and delamination repair. For high strength or high temperature applications two part epoxies will generally have the best properties. 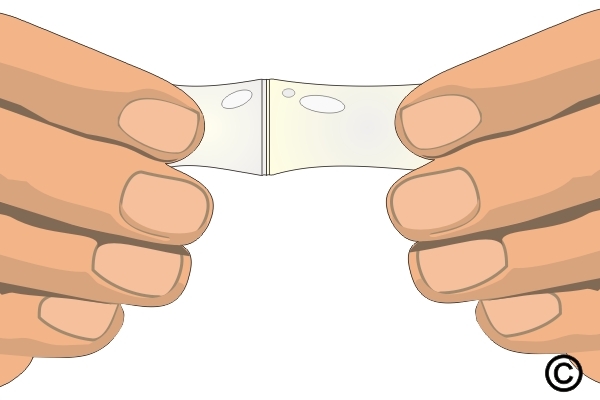 Figure 1: For prepackaged epoxy, remove divider clip and mix resin and hardener inside package. Figure 2: Apply epoxy as needed. 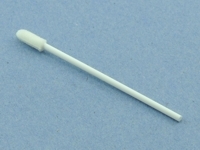 Foam swabs may be used to add texture for soldermask repair. Epoxies used for circuit board repair and rework require specific properties. The Epoxy referenced in this procedure is a clear, low viscosity, superior strength two-part epoxy. 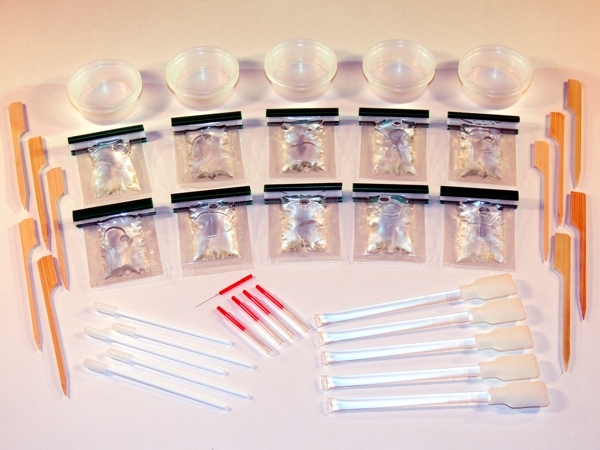 It is available in two-compartment plastic packages so no measuring is needed. See the Related Products below for details about the Epoxy referenced in this procedure. The area where the epoxy is to be applied should be prepared prior to mixing the epoxy. This preparation may include preheating the affected area to improve absorption of the applied epoxy. The entire circuit board may also be heated in an oven or with a heat lamp. 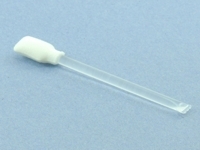 Cut open one end of the epoxy tube and squeeze the contents into a mixing cup. Mix again with a mixing stick to ensure a thorough mixture of the resin and hardener. For bubble free epoxy, remove the clip separating the resin and hardener. Cut open one end of the Epoxy tube and squeeze the contents into a mixing cup. Slowly stir the mixture with the mixing stick. Be sure to stir the mixture for at least 2 minutes to ensure that all the resin and hardener have completely mixed. If needed, add color agent to the mixed epoxy. Stir slowly to prevent bubbles. Visual examination of epoxy for texture and color match. Testing of epoxy surface for complete cure.